Gifford shooting leaves one IRC Sheriff's Deputy dead. 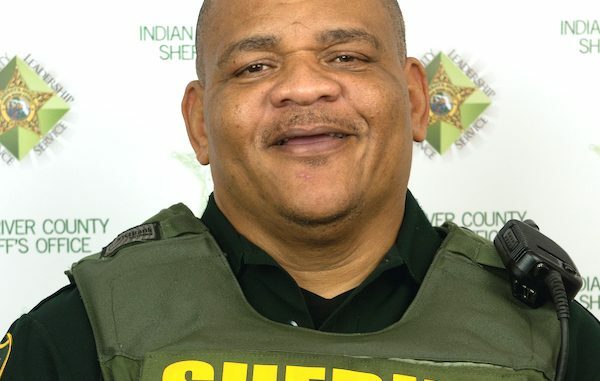 GIFFORD – An off-duty Indian River County Sheriff’s Correction Deputy, identified as Garry Chambliss, was killed Friday night in Gifford following a shooting. At approximately 9:30 p.m., the IRC Sheriff’s Office received multiple calls about a shooting in the 4400 block of 28th Avenue. Responding deputies located Corrections Deputy Garry Chambliss with a gunshot wound. Deputies found a vehicle matching the one last seen in the Gifford area at Powerline Road and County Road 510. Deputies then conducted a traffic stop and one suspect was taken into custody. Deputies are still searching for a second suspect. “This is a tragic day for the Indian River County Sheriff’s Office. We are actively investigating this homicide as we face the difficult reality of losing one of our own to violence. We will find those responsible for this senseless loss of life and put them in prison where they belong. Please pray for the family of Deputy Garry Chambliss and everyone at the Indian River County Sheriff’s Office during this difficult time,” Indian River County Sheriff Deryl Loar stated. Detectives are still investigating the shooting. Additional information will be released as it becomes available.